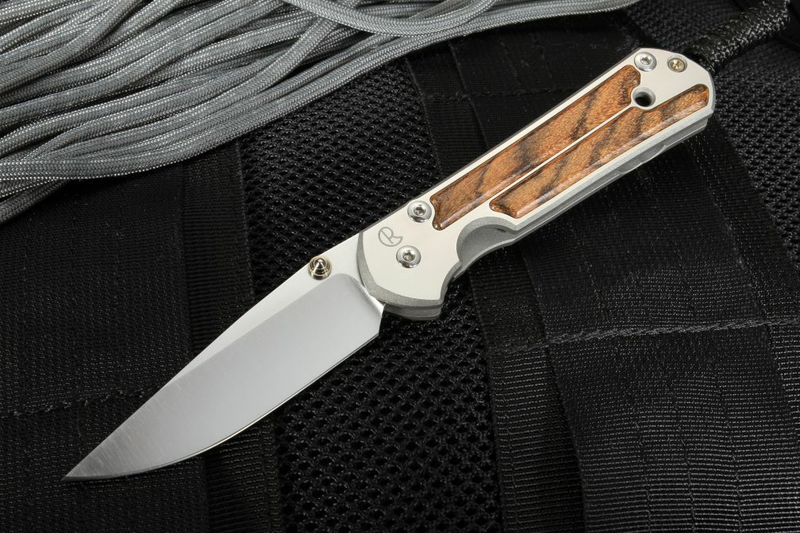 Always looking for ways to improve tried and true designs, Chris Reeve took one of his staple products in the Small Sebenza 21 and added a luxurious Bocote Wood Inlay. With a keen eye for aesthetic detail and quality, Chris Reeve continues to demonstrate his expertise when it comes to designing knives that are both pleasing to look at and satisfying to use. The Sebenza is a true benchmark in knife design, and the modifications made to this version of the Small Sebenza 21 make for a quality product on multiple fronts. The Small Sebenza 21's S35VN Stainless Steel Fixed Blade measures in at 2.94", leaning this knife toward the more compact end of the spectrum. Hardened to an RC of 59-60, you can rest assured that your Sebenza's blade is tough enough to take on the difficult tasks you encounter on life's journey. This knife's handle is made from a tough 6Al4V Titanium alloy, with hand satin finished flats, making it both durable and extremely well finished. Enthusiasts, professionals, and people who appreciate a fine tool will find something to appreciate about the quality of the Small Sebenza 21. At 3.935" folded and just 3 oz., the Small Sebenza 21 is a compact cutting tool that is easy to carry with you wherever duty calls. The integral lock feature means you can be comfortable with the knowledge that your Sebenza 21 is safe and easy to handle. 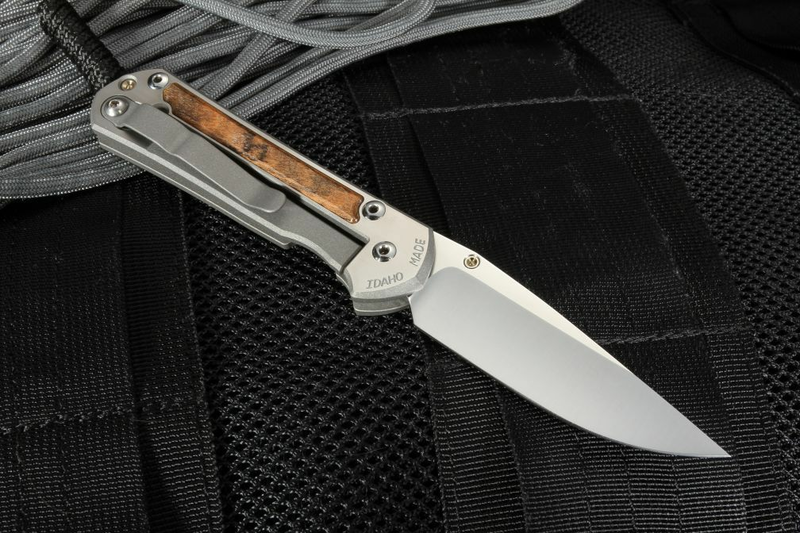 The Sebenza 21 comes equipped with a tip-up pocket clip for safe carry at waist level, in addition to the included leather pouch as an alternative carry option. It's difficult to go wrong with Chris Reeve's knives, and the Sebenza 21 with Bocote Wood Inlay is a worthy addition to his line-up.